Join us every Friday night at 6:00 and 6:45 pm for our Club Dance Classes. 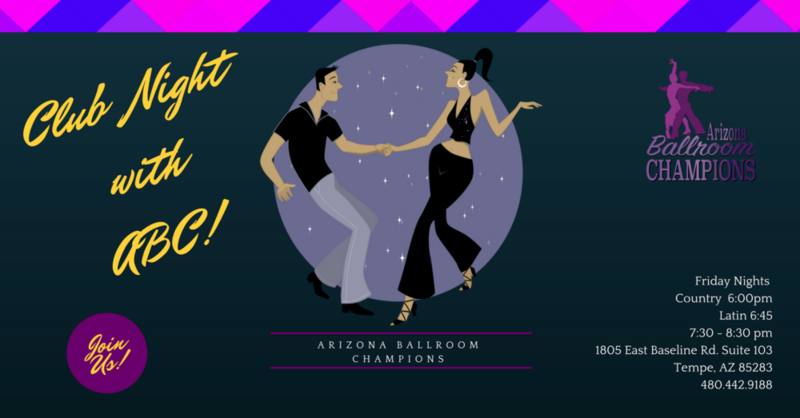 These classes focus on some of the most popular social dances that you can use at many venues in the Phoenix area. Let's start off the Friday right with some fun Country Dancing! 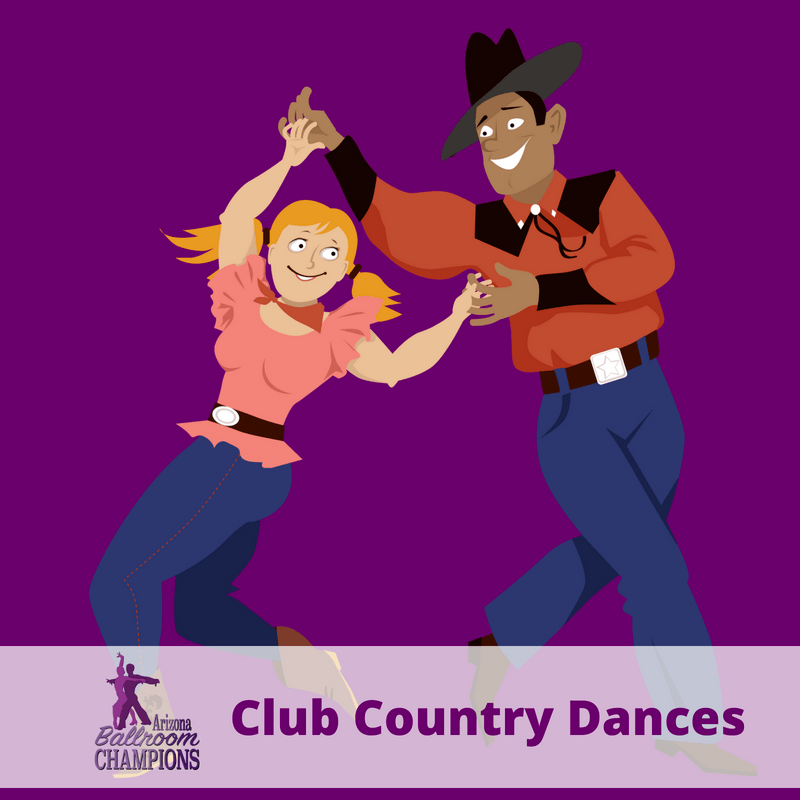 This class will focus on some of the most popular country dances, like the AZ 2 Step, the Country Waltz, and the Country Swing! No partner or experience is necessary to join. This class is great for beginners. $18 drop in, or try 2 Weeks of Unlimited for $30! Stick around for the hot and sizzling Latin Dances! We will be focusing on the Bachata, the Merengue, and the Salsa! No partner or experience is necessary to join. This class is great for beginners.